Thomas Edwards was offered the opportunity to meet international young farmers and share ideas for best organic practice. Beth Dixon finds out more. Thomas Edwards is a third-generation dairy farmer with a passion for organic farming, travel and learning best practice from other farmers to better the future of his family business. This open-minded approach has seen him take a leading role in the family’s 275-hectare (680-acre) organic farm on the Gloucestershire/Monmouthshire border. The business, which includes an organic dairy herd, beef enterprise and farm shop, has embraced change and 29-year-old Thomas now manages all the farm’s day-to-day activities, with its six employees. 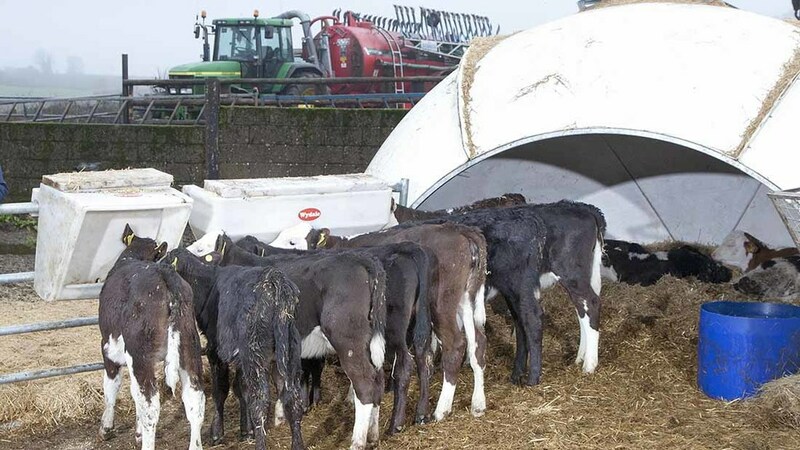 The organic dairy enterprise encompasses a herd of 240 pedigree Holstein and Brown Swiss cattle and 155 followers, selling milk to OMSCo (Organic Milk Suppliers Co-operative). 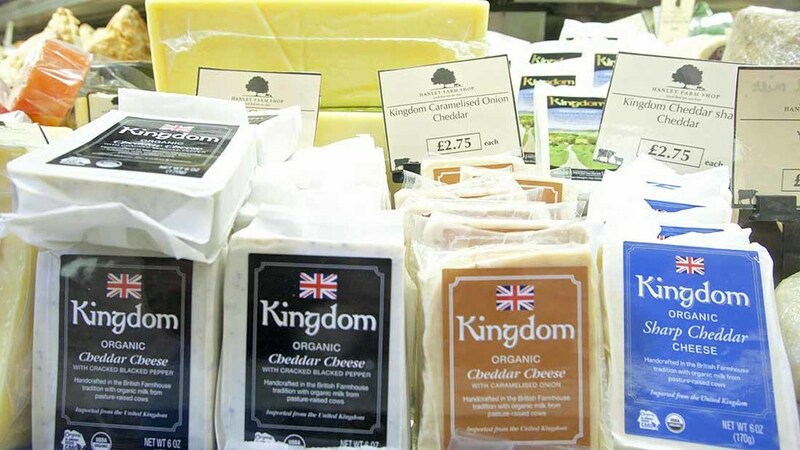 Severndale Farm has supplied the co-operative for more than a decade, having taken the decision to convert to organic more than 15 years ago, following years of conventional dairy farming. The decision to switch their system was driven by the farm’s suitability to organic production, including its abundant clover leys. The dairy herd produces about 7,500 litres/cow, with an average fat content of 3.9 per cent and protein content of 3.15 per cent. “Our cows are on a predominantly forage based system, with the cows only housed for a couple of months over winter,” says Thomas. Upon leaving Hartpury college in 2004 having spent a year studying for a National Award in Agriculture, Thomas gained experience across a variety of farms, including a year working in America, driving a combine from Texas to Canada in the famous 2,000 mile harvest. When OMSCo organised a young farmer exchange trip to America last year with long-term partner Organic Valley, the world’s largest organic-only food company, for the sale and distribution of organic dairy products, Thomas jumped at the opportunity to return to the US. “We are part of OMSCo’s US premium pool. They produce dairy products which are certified organic by the United States Department of Agriculture [USDA] under the EU-US equivalency agreement and we farm to theit standard,” he says. To secure USDA organic accreditation (see panel) and supply the pool, members have to meet a variety of different criteria. “It was great to have the chance to go back to the US and see where some of our milk ends up, in the form of cheese and other dairy products. “Over the past four years, OMSCo and Organic Valley have developed a successful international partnership, based on a shared vision to increase the profile of organic dairy across the world. “When the idea for the exchange was established, I knew it would be a fantastic opportunity for young members to start building relationships with one another for the future. “It was great to meet our farmer member counterparts in the US, and experience the passion they have for organic farming. “I learned first-hand how they cope with the different climate, soils and varied environments. They follow the same farming principles and share the same values as us and their enthusiasm inspired me to look at introducing some new homeopathic techniques at home. Since returning home, Thomas was inspired to introduce seaweed to the feed and he has also tried feeding shots of organic yoghurt for the treatment of calf scours. “The best part of the tour was having the chance to spend time with other young farmers. Since then, I’ve been able to build on the friendships made through NextGen, a group for young farmers, by young farmers in our co-operative. “Our vision is to learn from one another and share ideas, and being part of this makes me feel I’m part of something bigger than my individual farm. “We’re an open-minded group, so if there’s a question we want to discuss, there’s always someone experienced to give practical advice. It’s all about working together to come up with positive solutions. In addition to the organic dairy herd, Thomas also has a herd of 120 Aberdeen-Angus and Hereford beef cattle including youngstock. All bull calves are sold before weaning. Heifers are kept and reared, and the meat is sold through the on-site farm shop, a successful diversification project for the Edwards family. “We’ve always kept a few beef cattle, but a key driver in boosting the size of the herd was the farm shop and the demand which came as a result of it. On average, we’re now supplying one animal a week,” Thomas says. The shop, which was initially an aspiration of Thomas’ father, has continued to grow each month since its establishment three and a half years ago. It also scooped the National Farmers’ Retail and Markets Association small farm shop of the year 2016 award. “The shop has gone down a treat with locals and is well supported. This past Christmas was fantastic as we held our first Christmas fayre. This included stalls selling items from craftsman, local brewery tastings, and an area for children with Santa’s elves running colouring workshops. “I’ve also taken responsibility for Open Farm Sunday, which we’ve run for four years, purely to help the local community understand what we do as farmers. “We have a lot of footpaths running through our land and often get questions from walkers about the farm, so we saw this as a chance to open up the gates and let everybody see what we do. “Again, it’s been a great success for us, with more than 3,000 visitors last year, which is more than seven times the original attendance numbers. “We offer the local community and schoolchildren the chance to get up close to a tractor and see cows are milked. I think it’s important to give them an opportunity to understand where food comes from, as many children think milk comes from a supermarket. Thomas aspires to grow the dairy herd and make the farm completely self-sufficient, in terms of energy and feed. “We operate a combination of paddock grazing to provide cows with fresh grass every day, and a short winter housing system where they are fed on a total mixed ration. 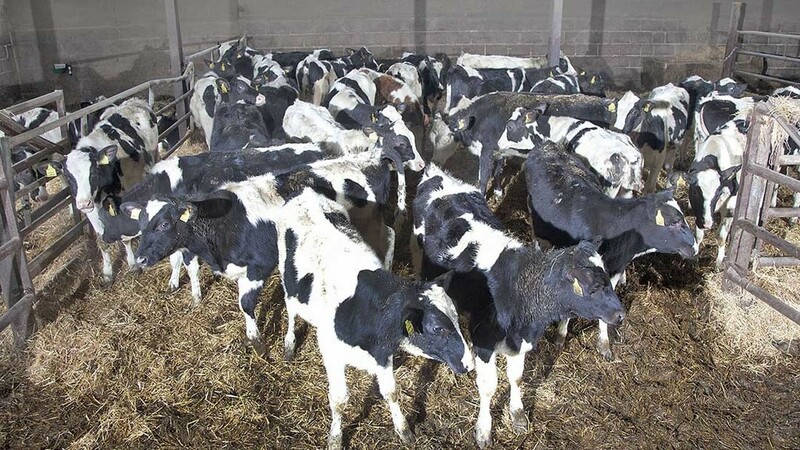 “Cows receive a mixed ration of our own home-produced feed and a small proportion of bought-in protein, such as organic soya and pulses. Thomas has also considered renewables as a potential energy source for the business, having considered a wind turbine and a small scale anaerobic digestion plant. While the dairy sector continues to battle through its challenges, Thomas remains upbeat for the farm’s own milking herd and the business plan they have. “Over the next 12 months, I think the organic dairy market will remain stable and I am looking forward to building the young farmers’ network, too. “If I could give any advice to my fellow young farmers across the industry, it would be to stress the important of cross-farm learning and travelling to experience different farming systems and environments, as these experiences have all helped me in the management role I am in today.